Are you like me and have to wear glasses every day? 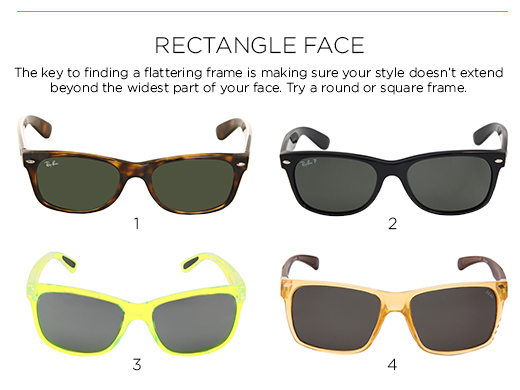 Even if you don’t, we sure do want our sunglasses to fit and flatter our faces, right? I have always had a hard time finding a frame I loved. Then when I did, I NEVER changed it. Like I mean, I bought the EXACT same version of the “skinny rectangle tortoise shell” glasses for 7 pairs in a row! I look back and laugh at myself for having zero risk appetite for change. You will hear me say something like “find your style and stick to it” but once in a while, it’s fun to upgrade. Even better when you pick the perfect frame for your perfect face!! 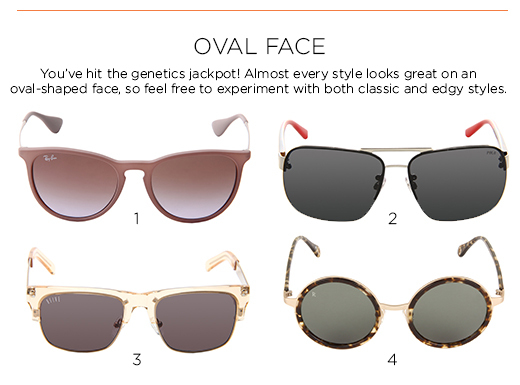 Oval – this may be the easiest face to accessorize with glasses, just make sure the glasses are at least as wide as the broadest part of your face, and the lenses are proportionate with your head. Oblong – for this face shape consider having decorative details at the temples to broaden the look of the face. Consider finding glasses with a lower bridge as this can shorten the nose, and sits low on the temples. 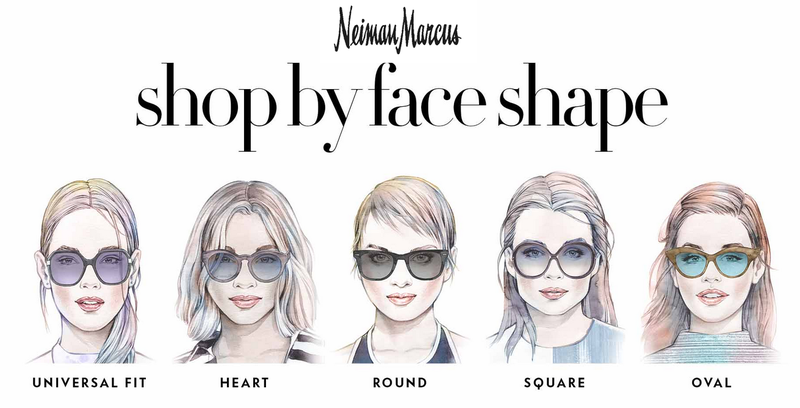 Round – ladies with this face shape will look great in a cat eye or style with angles! InStyle Secrets to Style also recommends to look for frames hat are wider than they are tall and that have higher temples. 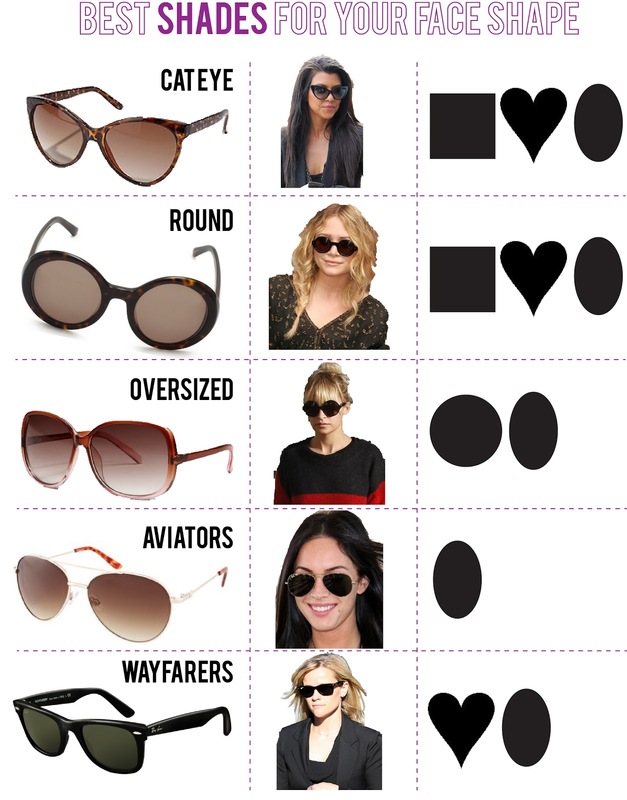 Inverted Triangle – with this face, you want to bring emphasis to the top of the frame, so aviators are great here, or the style that look like they are only rimmed at the top (with an invisible bottom). Heart Shaped – with this face, consider looking at slightly rounded or a butterfly style. 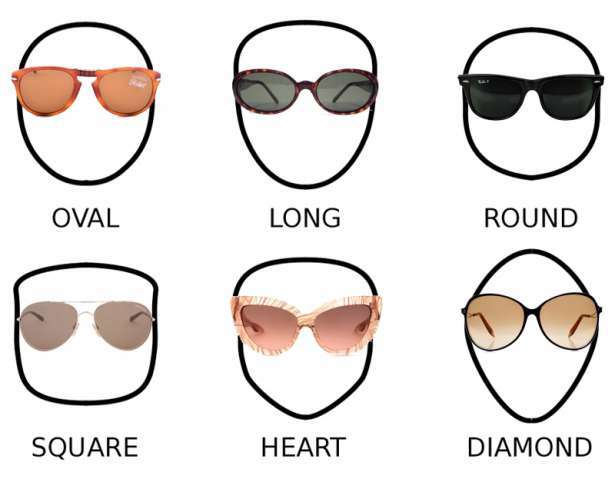 Square – with a square face, glasses that are more curved more than straight will soften the angles; but avoid frames with a flat bottom or square like lens. I will admit, I never ever spent alot of time thinking about this; but reading more about it, it makes alot of sense and can help you get the RIGHT pair of glasses you’ll love. Long Nose – A low prominent bridge on our glasses breaks up the length of the nose, and details at the temples adds to the width of the face. Dark colors are a good choice for these frames! Wide Nose – the bridge should be thin and simple on these frames. High temples help to draw the face upward while rimless or skinny metal frames with the adjustable nosepads are the most flattering. Compare these to a plastic frame that can make the nose look pinched. Small Nose – In this case, choose glasses with a higher bridge to show off as much of that little nose as possible. 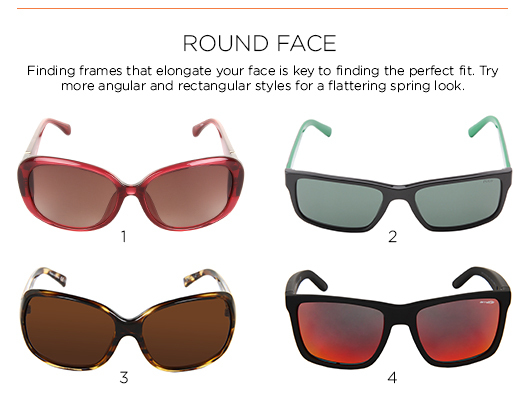 In this case delicate frames are not only consistent with your features; but are also very flattering. Wide Set Eyes – on a face with these features, a darker bridge with rimless or plastic styles will work best here. Close Set Eyes – a clear or near invisible bridge and decoration at the temple will help to wide the look of the face; but you may want to stay away from large frames. Coloring – not all colors look great on all of us. We know this. We may not LIKE that Sally looks amazing in red frames; but they do nothing for us; but once we find our colors, it’s a whole new ballgame baby. I truly believe that even when I’m feeling the most tired, sullen or like the bags under my eyes have taken over, putting on the right glasses takes it all away. SCORE!!!!! SO, look for something that CONTRASTS with skin tone. I have fair or pale skin, so it makes sense that those dark frames were my go to color. If you find it confusing, start by matching your frames to your hair or highlights! WIN! THIS is so important. NOBODY wants crooked glasses, or even ones that constantly slide down and look like they are too big. Don’t be afraid to go in and get your specs adjusted every few months. Including your non prescription sunglasses! We can be hard on them, especially if we are wearing them every day. My glasses went through HELL when I had the babies, they were like a magnet for their tiny but mighty hand. (How are they so little, yet have a VICE GRIP?!) And I’m not just talking dirty finger prints here. They would get grabbed, thrown, pulled on, all the things that put fear in my heart that they would break and I’d have to go around with broken glasses! ha! Not only will they look “off”; but if you don’t make sure they fit right, it can make you squint, or have headaches, make you tear up or even give you a nauseous feeling. NO THANKS! Avoid putting them on the top of your head. Yep, even sunglasses. This definately stretches them out and can ruin the integrity of their shape to fit your FACE which is different from your crown. I know it’s just too easy to flip them up; but it will extend the life of those glasses if you store them properly. And as mentioned before, have your glasses adjusted to fit proper a couple times a year. Yep, even your sunglasses! Totally worth it. To finish off finding the best pair of glasses for your face, they should of course fit comfortably without sliding down your nose, or pinching anywhere. They should sit across the nose straight, or if you have the nose pads, they should lay flat. Your eye should sit in the middle, or top third, of the lens, regardless of it’s shape. My biggest adjustment is with the sidepieces. They should rest on the top of your ears, not above, nor should they dig in. Mine often dig in and are too tight behind my ear. These are easy fixes so you shouldn’t feel like you have to put up with it….it hurts! If you are like me, you have one ear a little bit higher than the other, so the person doing the adjustment can help with that too. Oh! Make sure the end pieces don’t stick out from behind your ears! I know, that seems like alot to take in just for glasses; but hey! It might just make it really easy for you the next time around!! Here’s to you finding the perfect shades for sunglasses season coming up REAL SOON!! Such great info thank you, love it!